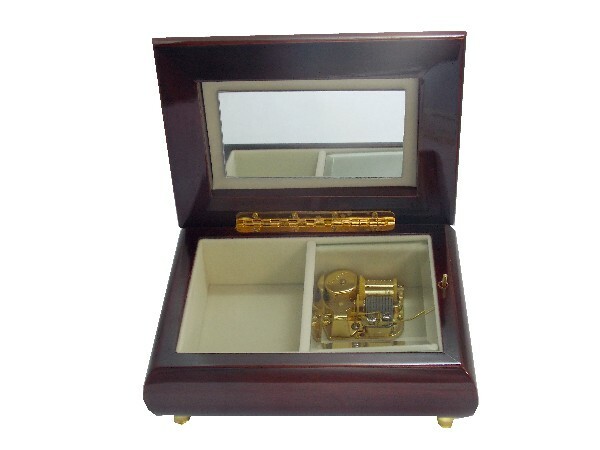 This beautiful musical jewellery box from The Music Box Shop, is fitted with an 18 note musical movement that plays the tune La Boheme. 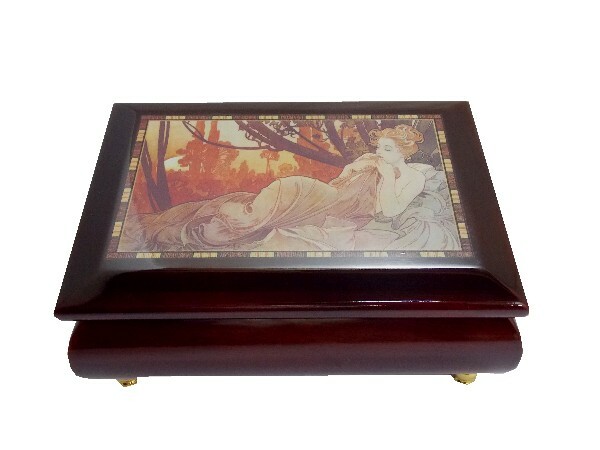 This musical jewellery box is finished in a mahogany coloured wood, with a gloss finish. 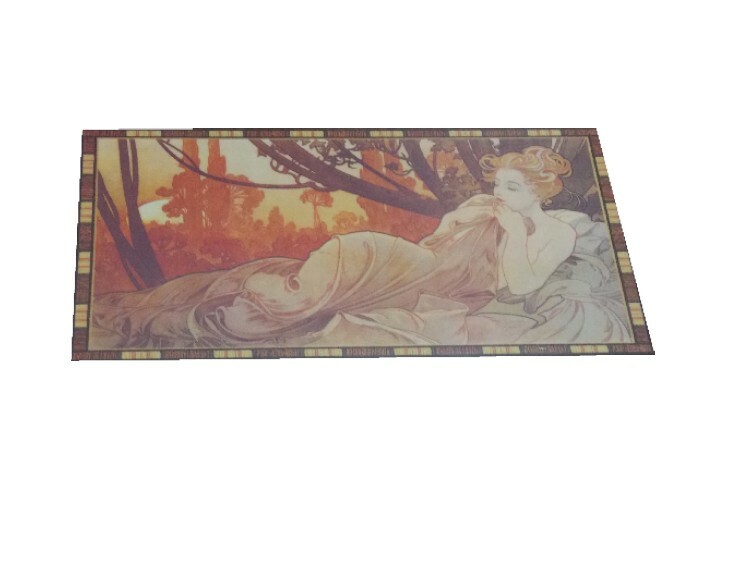 The picture front shows a stunning art nouveau style figure. 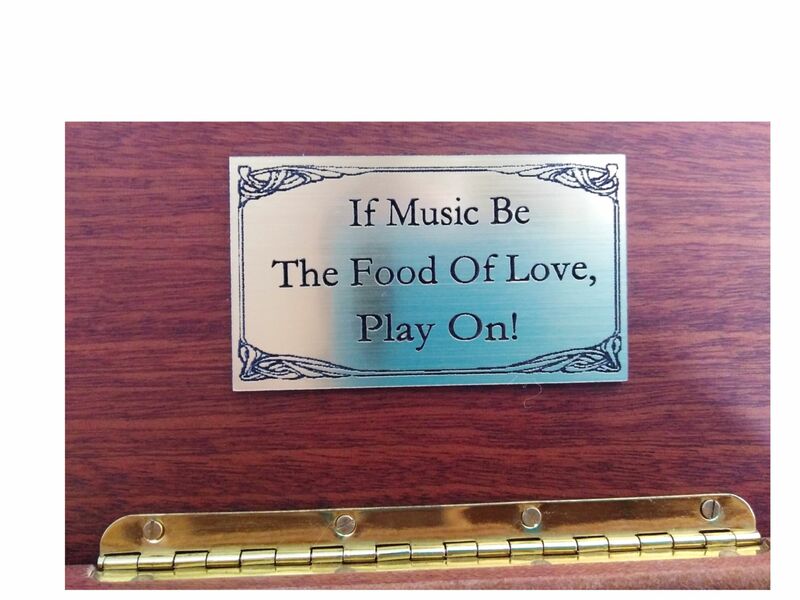 An ideal musical jewellery box for any age, at an extremely reasonable price.